Most entrepreneurs would agree that getting business financing is pretty difficult. However, trying to get business financing if one has bad credit is often nearly impossible. Part of the problem is that entrepreneurs often have unrealistic expectations, follow the wrong tactics, and look for funding in the wrong places. In this article, I discuss some options to help you get your business funded – even if you have bad credit. By the way, I plan to give you the bitter and hard truth about it. If you have bad credit, please do not take anything I say personally. I want to make sure you understand how finance companies think, so that you can work through the system and get some type of business financing. Let’s start by addressing two big myths regarding business financing. One of the biggest misconceptions out there is that a startup can get funding based on the strength of the business plan and the opportunity. For most companies, this is just plain wrong. A very small fraction of startups, usually in technology, may get funding based on the strength of the idea. Most companies get funding based on the credit and assets of the owners. Most lenders follow this simple equation: no assets or no credit = no loan. No exceptions. Key takeaway: If you have bad credit and ask for a bank loan based solely on the strength of your idea, you will be laughed out of the bank. Many entrepreneurs think that they can whitewash their personal credit problems by incorporating. They tell lenders that the business is looking for financing – not them. Therefore, personal credit should not matter. They often get defensive (a sure sign of problems!) when the funding company starts asking personal questions. The fact is, companies don’t manage themselves. The people asking for money are the ones who manage companies. They are the ones who make all business and financial decisions. This is an important detail. Lenders assume that small business owners who mismanage their personal finances will also mismanage their business finances. Key takeaway: Incorporating won’t usually help you get business financing if your personal credit is bad. Let’s be honest – Why is your credit bad? People have credit problems for a variety of reasons. Some situations are actually quite reasonable and can be explained. For example, it is well known that individuals who experience a divorce or a serious illness often end up with bad credit. While it is a bad spot on their record, it does not necessarily indicate that the person is financially irresponsible. They just had bad circumstances. Other people have credit problems simply because their income is insufficient for the cost of living in their area. As a result, they overextend themselves. This problem affects many people. Some may try to open a business in the hopes of improving their lives and their incomes. In this case, bad credit does not necessarily indicate financial irresponsibility. However, this will be tough to explain to potential lenders. More about this in a second. Lastly, many individuals encounter credit problems due to pure financial mismanagement – plain and simple. They spend money that they don’t have on things that they don’t need. They are deep in debt but manage to drive a luxury car. Or they take really nice vacations even though they can’t afford them. A lending company considers this potential entrepreneur a liability. Why should they believe that the entrepreneur will use the business’s finances carefully if they can’t even manage their own finances? By the way, I have seen many examples of the latter. I still remember meeting years ago with an entrepreneur who needed emergency funding. They wore designer clothing, had a Rolex, and drove a beautiful late-model car. They also had lots of debt, awful credit, and not a single penny to their name. Their business finances were no different. However, they also insisted they were the victim of circumstances. By the way, I am not criticizing this person’s lifestyle choices. It’s a free country. But I did not feel comfortable financing them. Would you? This self-assessment is very important. You will have to justify your bad credit to the lender, so it’s best if you have a clear idea of your situation. Providing an honest explanation, rather than a bunch of excuses, can go a long way. The biggest mistake that you can make when looking for business financing is trying to hide your bad credit. People do this hoping that the lender will not find out. They are wrong. Lenders are very good at finding this sort of stuff. Once you start looking for business financing, don’t hide the fact that you have bad credit. Instead, answer all questions relating to your credit directly and honestly. Provide all the information that they ask for. There is one catch. You can increase the chances of getting funded if you do one more thing. Attach a document to your application explaining why you have bad credit. This document gives you an opportunity to tell your story in your own words. Be professional and straightforward, but don’t be apologetic. Above all, don’t play the role of victim. Make sure you cast this event in the proper light. For example, if you had a medical issue and were overwhelmed by costs, say so. Outline how you tried to pay the healthcare providers but were unable to do so. Many financiers will understand this and may be willing to make an exception, or provide some relief. Finance companies can be reasonable and make exceptions. I know we have funded entrepreneurs who had bad credit in the past. In every case, their bad credit was explainable and reasonable. Like some other lenders, we understood that, in certain circumstances, bad credit is not a reflection of bad financial management. 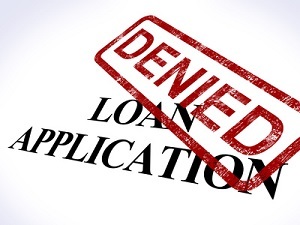 Having bad credit – even if it’s explainable – will usually disqualify you from most bank financing. Therefore, getting a bank loan or line of credit will be out of your reach for a while. However, there are other financing products that can help. Look for a list of alternative solutions and determine if one of those solutions can provide the funding you need. I provide a list at the end of this article. Getting business financing will still be difficult. You have to approach a number of finance companies, many of whom will reject your application. Set your expectations appropriately. What I am suggesting does not guarantee you will get funding; it just improves your chances of getting it. Here is a list of realistic business financing options for people with bad personal credit. These options may not be perfect, but they can solve many financial problems. Often, you can use them as a stepping stone. Grow the business, build company revenues, and eventually secure a better financing package. One of the few entities that makes reasonable business loans to entrepreneurs with bad credit is the SBA. They do this through their Microloan program. This program provides small business loans of up to $50,000 (this varies) to entrepreneurs. Their objective is to help people establish small businesses, and their loans are available to individuals with bad credit. These loans often come with technical assistance, which helps entrepreneurs get valuable skills. Small business owners who need funding should seriously consider this option, regardless of their credit. Note that the SBA does not provide the actual loan. Rather, they work through intermediaries such as Accion. Companies that sell products and services to other businesses often have to wait 30 to 90 days to get paid. Unfortunately, many small companies cannot afford to wait this long for payment. They need funds sooner to pay their own expenses. This delay often causes cash flow problems. One way to deal with this problem is to use invoice factoring to finance slow-paying invoices. This solution provides financing for your company’s slow-paying invoices. It uses the credit of the company paying the receivable as collateral. Factoring invoices can be a great alternative for small companies that have solid commercial or government clients and need funds to pay operating expenses. If your company sells third-party products, has a confirmed purchase order (PO), and needs funds to pay suppliers – consider a purchase order financing program. This solution provides funds to pay the supplier costs associated with a large purchase order. It allows you to fulfill the order and book the revenue. PO financing can be used by companies owned by individuals who have bad credit – as long as the bad credit is explainable and reasonable. Your chances of getting PO funding will increase if you contact the funding company after you have successfully fulfilled a few orders. If you own or are starting a company that requires machinery or equipment, consider leasing it. Leasing allows you to rent the equipment from the finance company. Leases are often structured so that you can own the equipment at the end of the lease for a nominal price. Leases can be used by a variety of businesses such as manufacturers, mechanics, restaurants, and others. For more information, contact the Equipment Leasing and Finance Association. Companies that accept credit cards can use a merchant cash advance to get an advance against future sales. The advance is paid slowly over time from the proceeds from your future sales. This option can be very dangerous since future sales are very difficult to forecast. Another alternative that also falls under the merchant cash advance umbrella is the so-called ACH loan. These are advances on future revenues, but the lender debits the money directly from your bank account, using the ACH process (hence the name). Other than that, they are similar to credit card advances and are based on your expected revenues. Both of these alternatives are risky and comparatively expensive. They can leave your company in bad shape if used incorrectly. If you decide to use either solution, do so only for emergencies or for very strategic and sure-fire opportunities. Otherwise, consider another alternative (such as a Microloan) first. If all else fails, your last option is to ask friends and family to invest in your business. I am not a big fan of this option because it’s risky. You risk damaging the relationship if the business idea does not pan out. This is why friends and money seldom mix. Note: If you liked this post, please share it through social media. To get more posts like this, follow me @Twitter, LinkdIn, or sign up to get posts by email.